A driver who ‘failed to stop’ following a collision with a cyclist is being sought by police. Officers say a car and bicycle collided at the Marshall Roundabout in Hampden Park, shortly after 6am on Wednesday (April 3). The cyclist, a 47-year-old local man, briefly lost consciousness after the incident. 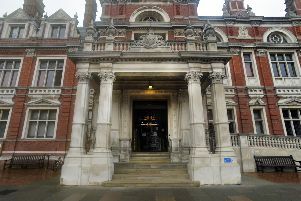 He suffered a concussion as well as cuts and grazes and was taken to Eastbourne District General Hospital, said police. Police say the car, possibly a small red hatchback, entered the roundabout from Willingdon Drove, but failed to stop following the crash. It is likely to have front end damage as a result of the impact, according to Sussex Police. Anyone who saw what happened or who may have dash-cam footage of the incident, or ideally the motorist involved, is asked to contact police online or call 101, quoting serial 176 of 03/04.